Iggy Azalea is her own hero in her newly released “Savior” video. The Aussie is hoping to reclaim her spot atop the charts with the tropical-infused lead single to her forthcoming album, Surviving the Summer. After a challenging 2017, which saw her finally shelf her long anticipated Digital Distortion project, she is making a triumphant return and seems more confident than ever before. On her inspirational track she opens up about saving herself, and she does just that in the Colin Tilley-directed video. 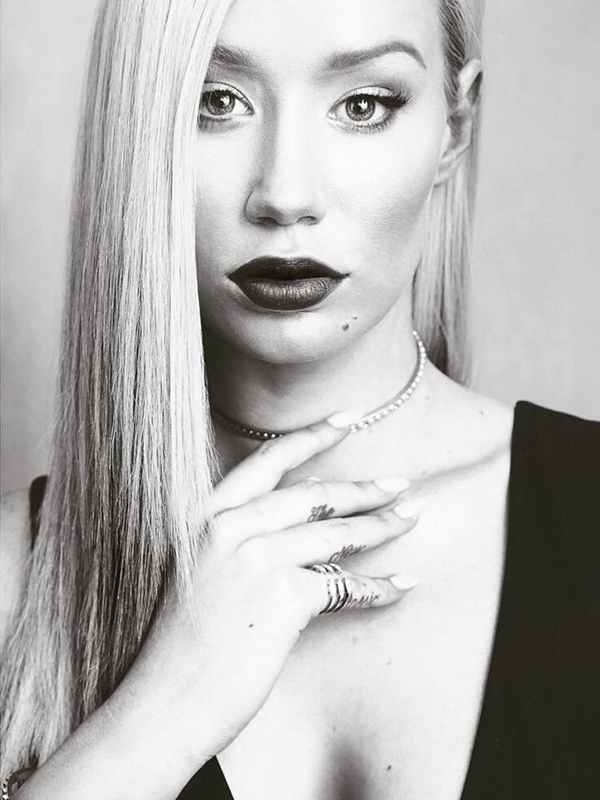 Drawing heavily from religious imagery, Iggy appears as a literal goddess. Dressed in glittering gemstones and a white gown, the hitmaker wakes up in a neon-drenched church and smolders as an audience looks on with rosaries in hand. Later, she dons a black wedding gown and walks down the aisle with a bouquet of flaming roses. Her partner is draped in a mysterious cloak and disappears as she looks underneath it. The hooded figure returns to drown the unsuspecting rapper in a bathtub. But in a surprise turn of events we realize that this is Iggy saving herself. Reinvigorated by a new sense of self-confidence, she ends the video by alluding to a reincarnation of sorts. Powerful and brilliantly shot, it is an evocative spectacle and a strong statement. On Twitter, Iggy confirmed that the video’s driving theme was finding faith in yourself, and it is clear that she has never been more at peace. Hopefully, her newly discovered sense of self pays off with an impressive run of the charts. “Savior” is off to a bit of a slow start, but the video will hopefully give it the promotional push it needs. The single has all the makings for a hit, and the “Mo Bounce” siren truly deserves one. Give the video a view up top! Do you love Iggy’s video? Let us know below, or by hitting us up on Facebook and Twitter!